In 2006 the world was undergoing a major shift in the way we consumed content with the development of YouTube. This video uploading platform had come with a revolutionary concept that people throughout the world could upload videos of anything and everything, and that other people would watch. We’re so accustomed to this reality today that it seems most people have forgotten just how revolutionary this was. 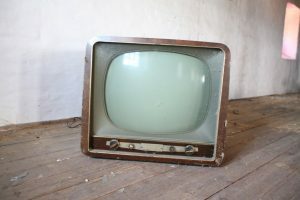 Keep in mind, during this time the biggest change in television was the invention of the flat screen tv (which cost about 5x as much as they do now). Flash forward to today and the whole concept of how we watch tv has changed. No longer are people bound by the high prices, restrictive contracts and gaudy wires of traditional cable providers. In just 12 short years, we’ve gone from being able to watch funny cat videos uploaded by some guy in Utah, to being able to access a full lineup of channels through the internet, no cable box required. If you’re totally unfamiliar with this concept, the basic premise is that there are several major internet streaming services (to be discussed in detail a little later) that have contracted with the major tv networks (Disney, Fox, Turner, etc…) to provide their same channel lineup and programming, formally only available through a cable subscription, through the internet. Since the evolution of the television from solely being able to access local channels, to the introduction of networks that required monthly subscriptions, the general public has been effectively held hostage by ever increasing monthly dues, channel restrictions, and obnoxiously high fees. With this development in stream-able tv, consumers now have more options than ever before when it comes to the way they watch television. As with any revolutionary service, there are generally some initial kinks that need to be worked out before the product reaches its peak form, and internet tv is no different. Sling TV was one of the first to market in 2015 and it certainly had it’s advantages and disadvantages. As one of the original customers, I found the service to be remarkably affordable ($20/mo.) and provided a decent channel lineup. On the flip side, there were a lot of connectivity issues and it was really easy to go overboard on bandwidth (this could have just been an issue with my internet in all fairness). I recently signed back up for Sling and although it has undergone a bit of a price increase, it seems to be a much more efficient service. Since 2015, there have been multiple competitors that have entered the market. Some have just expanded their platform from streaming a library of recorded content to live tv, and others have started a brand-new service from scratch. Let’s take a more detailed look at some of the top services available today. Ok, I’ll go ahead and admit, I’m a little biased on this one. As previously mentioned, Sling TV is kind of the granddaddy of the live streaming tv services and, as such, it deserves the respect that comes with that title. 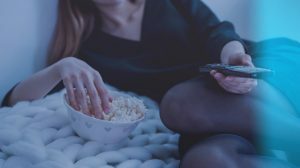 Sling offers a fantastic selection of channel packages at very reasonable prices, and if you’ve already got a solid wi-fi package at your home, this is a great option. Sling offers 3 main packages, as well as a host of sub-packages. The main difference between the packages has to do with the actual channels provided (one is based on Disney owned channels, the other based on Fox owned channels). We’ll get into more detail on Sling in a later article, but for those interested now you can check it out at www.sling.com. It goes without saying that YouTube has become an absolute powerhouse over a short period of time. The video upload service has gone full bore into the streaming tv provider world and seems to be fairing quite well. Instead of a more “a-la carte” experience like Sling, YouTube currently offers one package that offers essentially the same channel lineup as the Orange+Blue package of Sling TV at the same price of $40/mo. Often overshadowed by the juggernaut that is Netflix, Hulu has really tried to differentiate itself by trying it’s hand in the streaming tv space. This is one of the newest additions to streaming tv, and there isn’t too much information on it just yet (aside from the website of course). Here’s what we do know. Again, you’re looking at $40/mo. Package which includes essentially the same offerings as the $40/mo. Options for the other services. Want more info on Hulu TV? Check out https://www.hulu.com/live-tv for more information. Arguably the Cadillac of gaming consoles (can you sense the bias on this one?) Playstation continues to expand dominance by introducing their own version of streaming TV. All jokes/bias aside, this is certainly the most comprehensive offering out there, but it also comes at a price. Somewhat similar to Sling, Playstation Vue offers 4 distinct packages at different price ranges. -Access (Popular Live TV) $44.99/mo. -Core (Sports+Popular Live TV) $49.99/mo. -Elite (Movies+Kids+Sports+Popular Live TV) $59.99/mo. There’s a lot to unpack here. These packages are labeled and priced very different from the competition, and while we won’t get into detail here, rest assured there will be more content coming on Playstation Vue in the near future. In the meantime, feel free to hop on over to https://www.playstation.com/en-us/network/vue/ to get more clarity. Probably the most unknown out of this group, Philo TV is not only the most affordable live streaming option, but also the one with the most interesting pedigree. In part, the brain child of Mark Cuban, this service provides a more budget friendly option to those who enjoy keeping up with their shows in real time. Internet streaming TV is in the process of revolutionizing the way we watch live television. Gone are the days when we were reliant upon overpriced cable companies and hordes of wires in order to enjoy our favorite programs. We are quickly entering an age where wireless streaming tv services are becoming the norm. As for which is the best? It really all comes down to brand loyalty and personal preference. While most of these services offer relatively similar channel lineups for similar prices, they all have their caveats that make them unique. Over the next few weeks, we’ll be looking in depth at these 5 services with the hopes of giving you the best option at the best price.